My name's Hilary. I'm a full-stack software developer based in Madison, WI, where I build Rails-based web apps at Ten Forward Consulting. 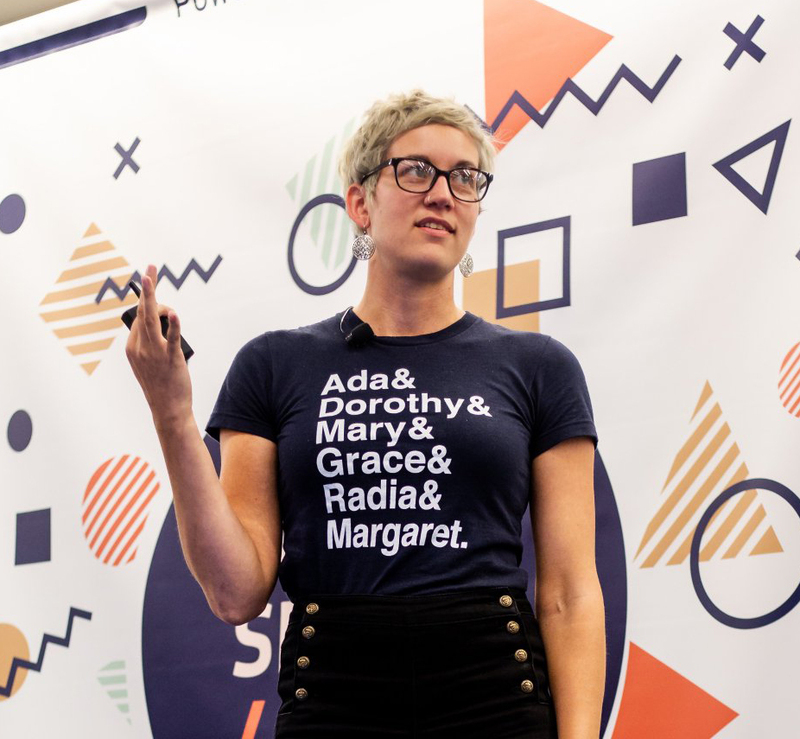 I've spoken at conferences around the country and internationally, including RailsConf (2017; accepted for 2019), SXSW 2018 and Write/Speak/Code 2018. Outside of work, I volunteer with several tech and community organizations, and co-run Madison Women in Tech, a community group with 1,000+ members. I tweet tech, feminism and all the puns at @hilarysk. "Beer, bylines and booleans: How the service sector and liberal arts prepare folks for tech"
"Using our powers for good: Tech and social impact"
"The Secret History of Women and Non-Binary Folks in Tech"
"Bright Ideas 2019: Hire someone who doesn’t look like you"
I was asked to participate in an annual series for a Madison newspaper, The Cap Times, about big, bold, bright ideas for the new year. "Tech & Social Impact: Why should we volunteer?" This is the first in a series of posts about how folks who work in tech can be superheroes of social impact in their own backyards. To kick it off, I examine why we should care about volunteering. "How custom Slackbots can help foster inclusive office culture"
At Ten Forward, we want all employees to feel respected and valued. When you have diverse staff - whether it's race, gender, neurotypicality, religion, age, etc. - that goal takes effort and iteration. "How to make a text field's width increase and decrease dynamically based on user input"
"How to add a 'copy to clipboard' button to your website"
Have a situation where you want to make copying text easier? Add a button that lets your user copy it directly to their clipboard.